An official from western Myanmar’s Rakhine state on Wednesday denied reports by the international media that up to 2,000 boat refugees rescued off the coasts of Malaysia and Indonesia earlier this week are ethnic Muslim Rohingyas who fled persecution in his region. Four boats carrying some 1,400 Rohingya and Bangladeshi migrants were rescued off the coasts of Indonesia and Malaysia on Monday, officials from the two countries told reporters, a day after nearly 600 others arrived in a wooden vessel off Indonesia's Aceh province. 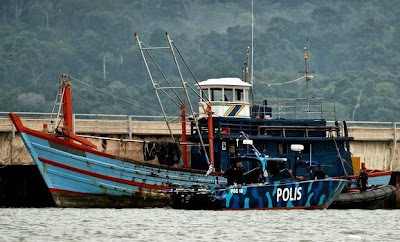 Indonesia and Malaysia have seen a sharp increase in boat-borne refugees officials say are from Bangladesh and Myanmar in recent days, after Thailand—their usual destination—announced a crackdown on human traffickers using the country as a regional transit hub. But Maung Maung Ohn, the chief minister of Rakhine state, told RFA’s Myanmar Service it was “impossible” that the rescued refugees were from his region, which is home to the minority Rohingyas, and where communal riots have left more than 200 dead and tens of thousands homeless since 2012. “Rakhine State is stable right now—the [temporary identification] white card process in the state is going well and people who hold the cards have accepted it,” he said of the bid by ethnic minorities, including roughly half a million Rohingyas, to gain citizenship in Myanmar. Maung Maung Ohn said authorities in Rakhine state do not allow people to leave by boat without permission and had stepped up patrols for people entering and exiting the region. He clarified to say that while some of the refugees might be Myanmar nationals, they would not have traveled directly to Indonesia and Malaysia from the country. “It is possible that some of them are from Myanmar, but were working in other countries. When they were found, they might say they are from Myanmar, but they didn't go there directly from Myanmar,” he said. Maung Maung Ohn said he had not been contacted by authorities from any other country or officials from nongovernmental organizations about the boat-people. White cards were issued by Myanmar’s former military junta for the 2010 elections, which saw President Thein Sein’s nominally civilian government take power from the regime. An army-backed political party won seats in areas with sizable numbers of white card holders. Myanmar’s citizenship law of 1982 does not recognize the term Rohingya as an ethnic minority of Myanmar, so that members of the group cannot obtain government documentation by using the term to identify themselves. Last month, authorities in Myanmar collected white cards from Rohingyas in Rakhine state after a bill that would have allowed card holders to vote in a referendum on constitutional amendments drew sharp opposition from Buddhist nationalists. In addition to the nearly 2,000 refugees rescued in Indonesia and Malaysia, the International Organization for Migration (IOM) believes that some 7,000 people who have departed from the Bay of Bengal have been adrift at sea for weeks or even months. Following the arrival of refugees earlier this week, Malaysia announced it would turn away migrant vessels after supplying them with provisions, unless they were sinking. Thailand’s clampdown followed the discovery earlier this month of dozens of graves of migrants, believed to be Rohingyas, on the Thai-Malaysia border.